6 reasons I still might probably get a cat even though my roommate is allergic. I have two roommates that are really lovely. They are craigslist roomies which means they are strangers from the internet and I had about 20 minutes with them before I had to decide if they were a) rapists and b) if I could handle the amount of dishes they do/don’t clean. It’s all-good because it turns out they aren’t rapists and we have successfully shared a house for about a year now. One problem we’ve recently run up against at number 166 however is that the older I get the more I feel the need to surround myself with furry things that have to love me unconditionally…and my roommate is allergic to cats. 6. A cat is going to cuddle me way more than my roommate. Sorry Dani, but how many times have you hopped up on the couch to rub your head against my leg? Hmmm? 5. 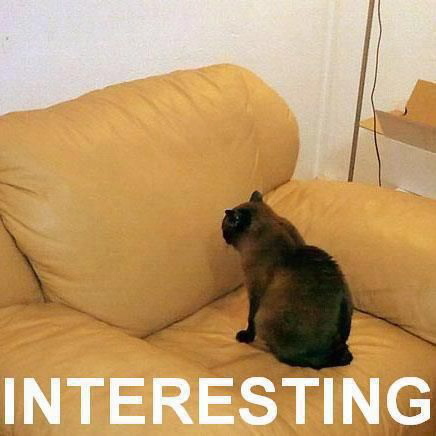 A cat is going to do funny things I can post on the internet. When was the last time you ran into a door frame chasing a laser? That’s what I thought. 4. A Cat is going to be so happy when I feed it disgusting stuff out of a tin. 3. A Cat is going to hang out with me all day when I’m bored. Oh so you have “school” or you’re “hanging out with your friends.” That’s cool. You know who isn’t doing those things? My cat. 2. A Cat isn’t going to judge me when I’m drinking that bottle of Bailey’s alone laughing hysterically at Goat video’s online. 1. A cat is going to let me dress it up and take pictures of it and post them on instragram. Are you Dani? I didn’t think so.